2017 is the Fatima year. Our Lord wants to use Our Lady to make Her known and loved. The Foundation of the Militia Immaculatae also took place 100 years ago. 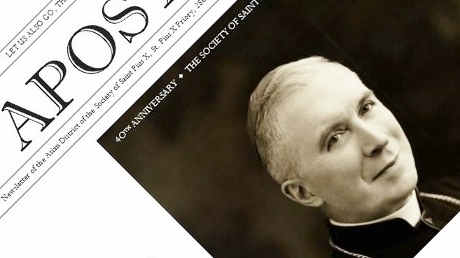 A visible sign of the fecundity of the work of the Society of Saint Pius X is the fact that wherever it goes, it builds chapels, churches, schools, retreat houses, convents, etc. His Lordship Bishop Fellay visited Vasai and Palayamkottai (India) as well as Negombo (Sri Lanka). The Immaculata has blessed our missionary work, including our "unknown apostolate". At the priests meeting in Manila, the SSPX clergy of Asia have put all their zeal to place themselves under the powerful Immaculata so as to worthily prepare the centennial of Fatima.